that can fix or maintain your equipment in Washington State? STTR is your number one source for repair needs. We surpass the competition, in not only value but exceptional customer service. Our trained technicians are experienced in truck repair, trailer repair, tires, and much, much more! We are a service-oriented company that strives to meet or exceed your expectations. 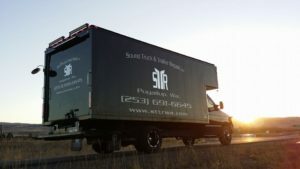 STTR has a 6 bay shop and 5 service trucks to keep you on the road. We understand how frustrating a breakdown can be for you and your customer. We send out qualified, uniformed mechanics with trucks that are fully stocked with a wide range of parts that can handle just about any minor, to major job keeping your “rig” off on the sidelines. 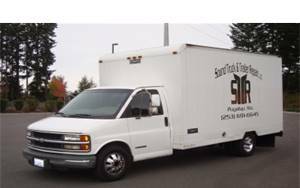 Our first service truck in 2008. Our company was started from home, in 2008, as a 24/7 husband and wife operation. Upon such honest success and hard work, the company eventually grew from a single service truck to multiple trucks plus a large shop located in Pacific, Washington (Sumner/Auburn area). We handle a multitude of repairs on heavy, medium and light-duty trucks, trailers and RV’s. Servicing all over Washington State. Call us today to schedule any of your repair needs. If you find yourself broken down on the side of the road, we will gladly be there to get you back onto the road. Click here to learn more about our services, or use this form to request service.